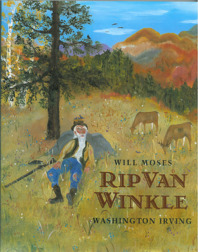 Remember the story of Rip Van Winkle? You probably remember he slept for 20 years, but little else. At a 1959 commencement speech at Morehouse College, Martin Luther King reminded his audience there was another lesson to Washington Irving’s story of Rip Van Winkle. When Rip went to sleep in the mountains, on the wall at the inn he stayed was a picture of King George III of England. Twenty years later when he awoke it held a picture of another George – George Washington. The point? Rip Van Winkle slept through the American Revolution. King wanted to stir his audience to not sleep through the revolution he was leading. Each of us is in charge of our own revolution. As leaders we are in charge of not only our own company but the people we lead. If you work for a company you are in charge of your part in the revolution as well. Each year, in fact each day, we receive the opportunity to lead a revolution for our own and our company’s improvement. In fact by our action or inaction we are inspiring or demotivating those around us. There are a lot of good nuggets in King’s “Remaining Awake Through a Great Revolution,” speech. Inspiring ideas on how to change, lead change and how prophetic he was in envisioning the future. Is your intention this year to make a difference? 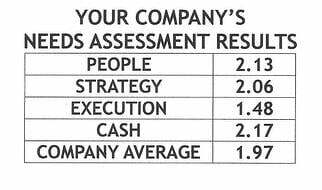 Is it to change you or your business' behavior to perform at a higher level? Are you prepared to lead a revolution in your life and the lives of your company’s people? Achieving change today requires Strategic Discipline. Establishing priorities, developing metrics to measure them, and then maintaining a steady diet of meeting rhythms to monitor accountabilities on performance against those priorities with your metrics. May you choose today, this Martin Luther King day to lead your own revolution.